The Kroger Co and Nuro announced Scottsdale, Arizona as the city for their self-driving grocery delivery pilot. 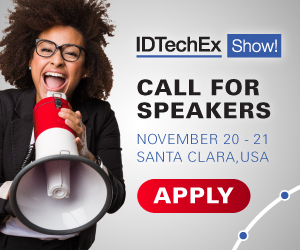 For more information see the IDTechEx reports on New Robotics and Drones and Last Mile Electric Vehicles. Earlier this summer, Kroger, America's largest supermarket retailer, and Nuro, maker of the world's first driverless delivery vehicle, announced a partnership to begin testing grocery delivery using Nuro's robots. Through the new self-driving delivery vehicles, customers will receive their groceries at their curb - safely and quickly. During the pilot customers can shop via frysfood.com or the Fry's Food Stores mobile app and place their order based on slot availability. Grocery orders can be scheduled for same-day or next-day delivery by Nuro's fleet of self-driving vehicles at a $5.95 flat fee; no minimum order.